Services to help with all your energy supply planning, procurement and management activities. Tools to help efficiently and diligently manage the wide array of information associated with competitive energy markets. Valuable market data and information to help you cut through the noise and make informed decisions. 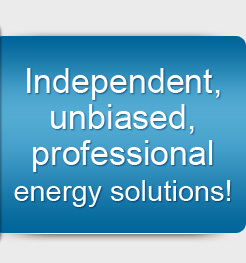 Axsess is an independent energy services company dedicated to assisting clients in managing their energy resources. Axsess brings years of diverse energy industry experience spanning regulated and unregulated energy markets in both the retail and wholesale sectors. You can benefit by accessing and leveraging this experience to efficiently manage the challenges of an evolving and volatile energy market. If you are a commercial, industrial, institutional, governmental or wholesale energy buyer, Axsess can help you manage your energy resources and control your energy use and costs, while allowing you to focus on your core business. Our clients value Axsess services because they know by working with a focused, boutique type firm, they will get the personalized solutions they require, appropriate tools and experience that is second to none. The energy industry has seen significant regulatory and structural change and continues to evolve. Like other industries that have gone through dramatic change, there is no shortage of “players” promising offers of the best energy pricing and supposedly “great” savings. Axsess has always promised diligent analysis and assessment of all suitable options for your needs and risk profile. In addition to the countless variables and factors at play that influence your energy decisions and choices, substantial supply price volatility has added to the complexity involved with making the best decision for your situation. You can be confident that Axsess’ experience, prudent approach and strategic and appropriate application of analytics, technology and common sense will serve you well and is what sets us apart from the competition. Evolving energy markets continue to produce new options for all energy buyers. These options provide opportunities for savings and more customized energy resource strategies, but also are more complex and risky. Axsess can help you manage the evolving environment and realize enhanced value through disciplined and efficient energy resource management. 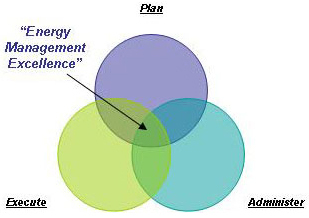 Those energy users who are able to efficiently Plan, Execute and Administer their energy resources with knowledge and experience are able to gain a competitive advantage so important in all businesses. Axsess can help you with each of these and provide the benefits which accrue from performing all three in a proficient and coordinated manner. Axsess provides experience, unbiased professional advice and efficient market access to help you more efficiently operate in all energy markets.